Greetings Everyone...Welcome to the March issue of The Tellico Times, an online supplement to The Tellico Plains Mountain Press. 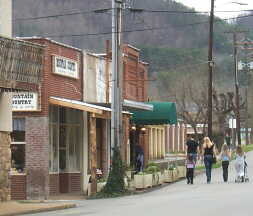 The Tellico Plains Mountain Press can be accessed at www.telliquah.com. 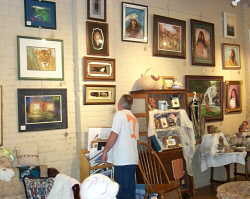 First Tellico Gallery Walk March 16. 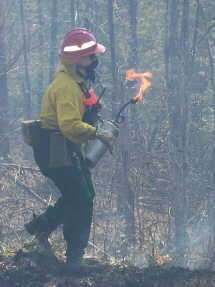 The Forest Service Will Be Doing Controlled Burns In The Tellico Area, Through April 1st. 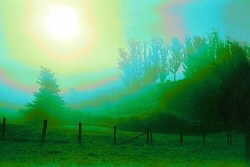 1918 - 1st daylight savings time in US goes into effect. 1921 - Albert Einstein lectures in New York on his new theory of relativity. 1932 - Ford publicly unveils its V-8 engine. 1954 - US Air Force Academy in Colorado Springs CO, established. 1965 - US ordered the 1st combat troops to Vietnam. 1980 - President Jimmy Carter deregulates banking industry. 1991 - Danny Bonaduce attacks a transvestite prostitute in Phoenix, AZ. 1997 - Pioneer 10, ends its mission. 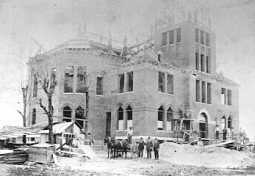 The Monroe County Courthouse Under Construction. Thought For The Day - " Faith will not die while seed catalogs are printed. "